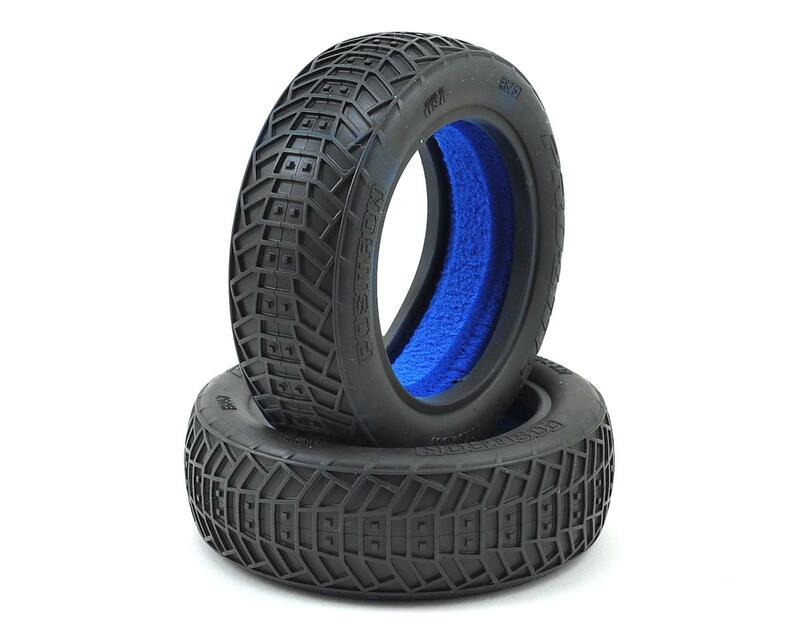 This is a pair of Positron 2.2” 2WD Front Buggy Tires. Designed from the ground up with an updated carcass shape and futuristic directional tread design, the Positron delivers true next generation performance with improved grip and corner speed on indoor clay tracks. The tread design pays homage to the Electron and ION tire before it with the 2 center pins boxed in by connected bars for a familiar Pro-Line signature look. From there the connected bars shoot off at angles that have been specifically designed to provide ideal steering feel when combined with the Positron Rear tire all while lasting longer than the competition. 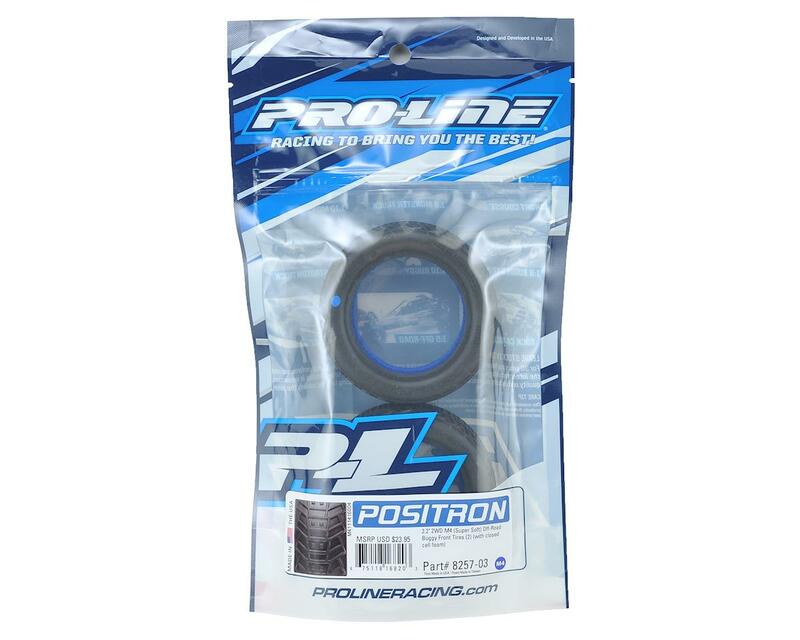 The Positron is directional, which adds another tuning option for the racers always looking for that extra edge since it will perform differently depending on which direction it is run.